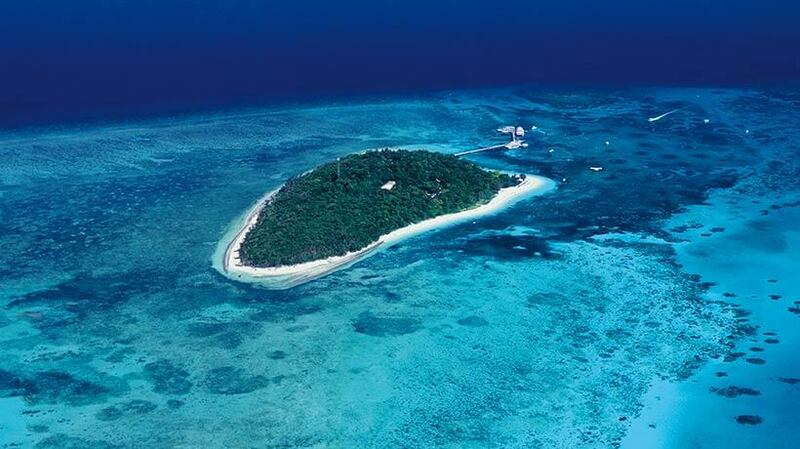 Green Island Resort is located just 27 km offshore from Cairns on beautiful Green Island, Tropical North Queensland. 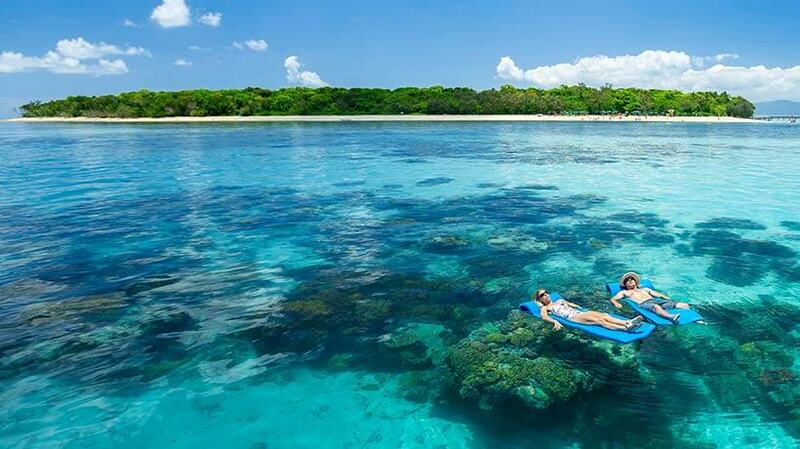 We offer a unique blend of luxurious accommodation, first class service and unparalleled access to the magnificent Great Barrier Reef, lush rainforest and walking tracks, and a spectacular array of bird and marine life to explore. 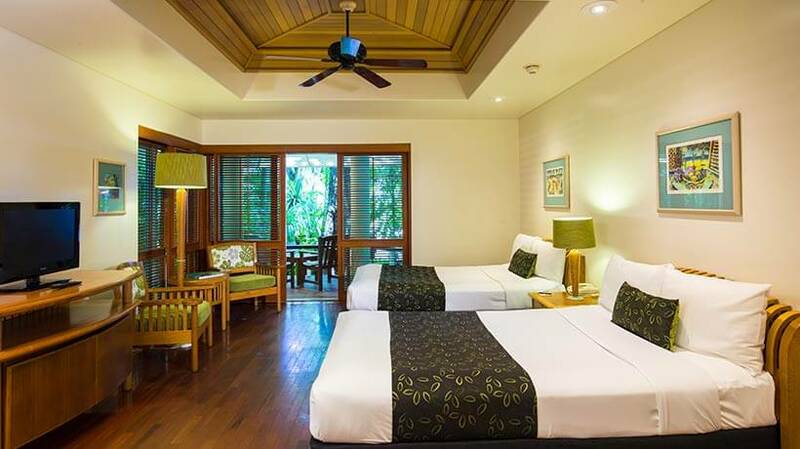 With just 46 beautifully appointed rooms nestled amid tropical rainforest and secluded from day visitor facilities, our beautiful resort features two styles of accommodation; Reef Suites and Island Suites. 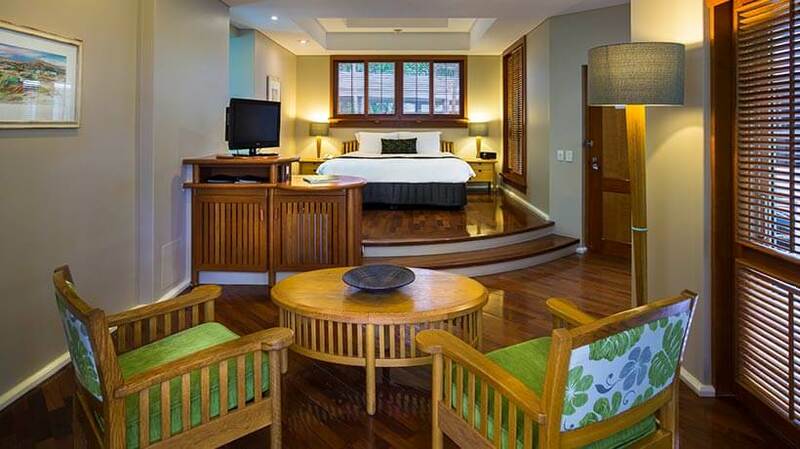 Each is elegantly appointed and features private balconies with either rainforest or pool views. 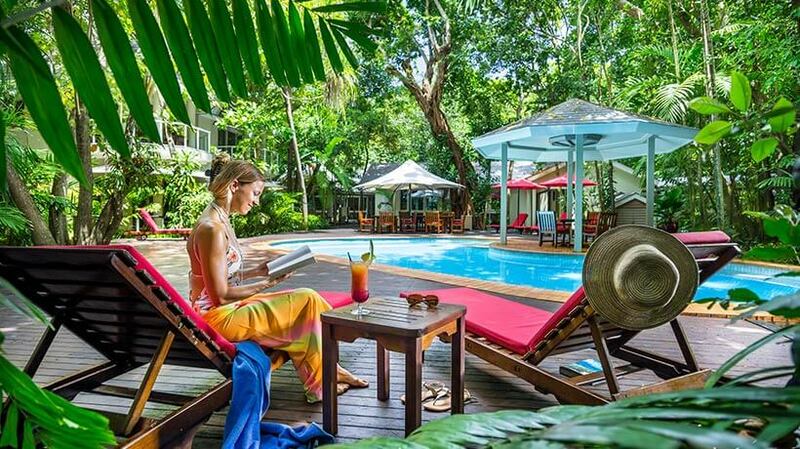 Our guest’s experience is enhanced with, amongst others, a day spa, a restaurant where exotic local produce is always on the menu and an abundance of inclusive and optional island activities. By day, Green Island offers pleasures of relaxation or adventure, while at night, an intimate tropical island experience. One of the most eco-sensitive developments in the world, we passionately balance the needs of our guests and the protection of our World Heritage environment. Behind the scenes, with self-sufficient power, desalination plant for water supply, tertiary sewage treatment and waste management, Green Island Resort has set a benchmark in ecotourism accommodation and is accredited with Advanced Ecotourism Certification.